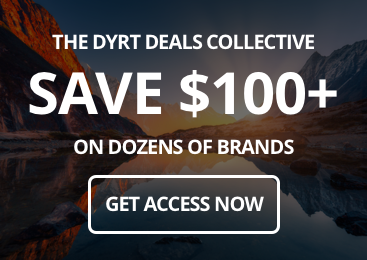 This post is brought to you by OOFOS, whose sport slide sandals will change the way you recover from your upcoming coastal trail run camping trip. 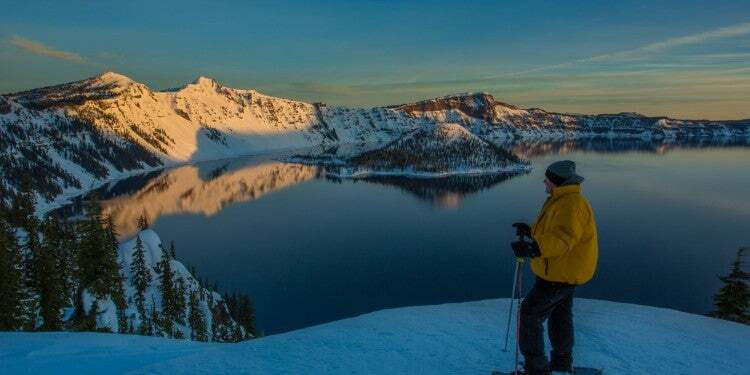 Few coastlines offer as much in the way of scenery, nature, and trails than the rocky edge of Oregon. 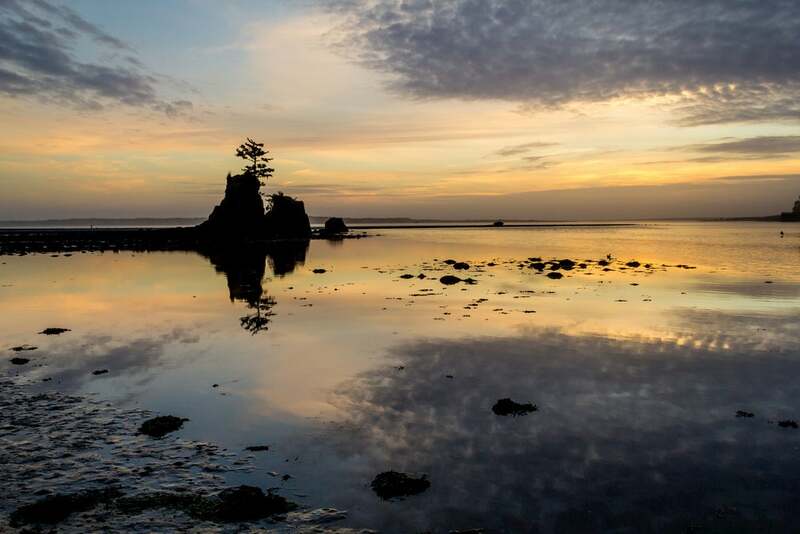 Whether you’re a dedicated trail runner or a beginner hoping to scrape out a few miles while taking in the sights, these 6 Oregon coastal trail runs are guaranteed to bring your camping and hiking experience to the next level. Huff and puff on that salty, sea air at trails that wind through old growth forests with the waves crashing in the background. Trail running Oregon’s coast will get you deeper and further when exploring the region. 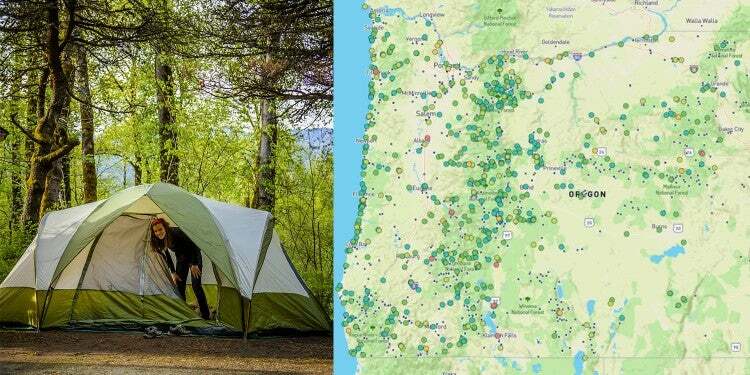 And when you’re ready to lose the shoes and take a nap, Oregon’s coast is full of RV campgrounds, tent sites, and plenty of places to relax after a big day of mileage. Image from The Dyrt camper Lisa H.
This 1.7-mile trail is one of the first coastal trail runs in Oregon if you’re entering the state from California, and it affords excellent ocean views as well as a path through the trademark Oregon forestland, featuring a mix of old growth fir trees and a large variety of Spruce Hemlock which grow along the entirety of the Oregon coastline. The trail winds through the forest and up the bluffs to the tip of the Cape, which provides an expansive view of the rocky Pacific shoreline. Take the trail as an out-and-back, or shuttle your way back to the start. Either way, it’s not a difficult run, though visitors should refrain from getting too close to the Cape’s edge, as loose gravel may pose a hazard. 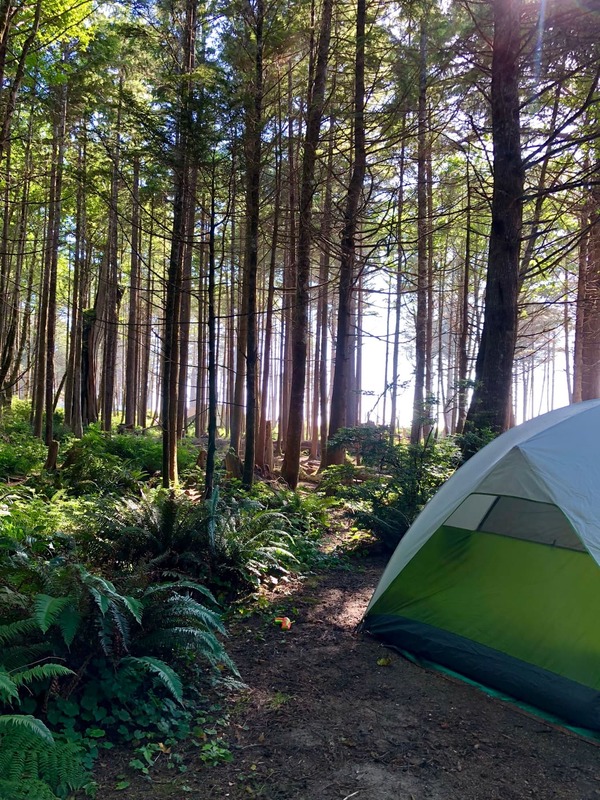 Camping Near This Trail: Cape Ferrelo is nearby to a variety of excellent coastal camping, including Harris Beach State Park located in Bookings, Oregon, just off of Highway 101. The campground offers yurts, RV sites, and tent sites all year long. “Absolutely an emaculate campground…With several access points down to the shoreline, we enjoyed a nice day hike down to fly a kite. People of all ages were hiking up and down all of the rocks. Beautiful butte viewpoint trail allowed us to watch the sunset!” — The Dyrt Camper Jennifer A. Image form The Dyrt camper TJ B. One of the more visually interesting coastal trail runs in Oregon, the Tahkenitch Dunes Trail winds through the sand, forestland, and a meadow before ending nearby the popular Threemile Lake. Located just off the Oregon Coast Highway, this trail combines coastal rainforest and views of sprawling sand dunes. Compared to Cape Ferrelo, this is a moderately difficult 2.5-mile trail with utterly unique scenery. Due to the protected nature of the wilderness around the Tahkenitch Dunes, no pets are allowed on this trail, and certain beaches along the trail may be restricted during certain times of the year to allow for the Western Snowy Plover nesting season. Camping Near This Trail: This a gorgeous (and somewhat challenging) run to take in on a camping trip at the nearby Tahkenitch Campground, a 2-minute walk from the Tahkenitch Dunes-Threemile Lake trailhead. “I liked how this campsite was set up, the sites along the inner hill have parking spaces down below, with a short walk into the pads and fire rings…It wasn’t overly populated either, so in the morning and at night, when the hwy traffic died down, it was very peaceful and you could hear just the slightest ocean sound in the distance.” — The Dyrt Camper Tj B. Few coastal trail runs in the country boast as much diversity in scenery and nature as Hart’s Cove. Whether you complete the 2.7 Hart’s Cove Trail or the grueling yet spectacular 14-mile out-and-back version of the trail, this run through the natural beauty of Cascade Head is certain to ruin you for future trail running adventures. Hart’s Trail begins at the trailhead about 4 miles north of the Nature Conservancy Trail (where the 14-miler starts). Running down through the forest, the trail moves from level ground to steep switchbacks and back down into the Cliff Creek drainage. After winding through dense coastal forest, the trail opens up into a meadow with exquisite views of the ocean, concluding with a view of Hart’s Cove itself. The 14-mile out-and-back option begins at the Nature Conservancy Trailhead, about 4 miles south of the trailhead for Hart’s Cove. The Nature Conservancy Trail, though running close to the road at first, offers a variety of scenery, including excellent views of the ocean and a salmon estuary from the south side of Cascade Head. The Nature Conservancy Trail ends at National Forest Development Road 1861, which intersects with the Hart’s Cove Trailhead about a mile from the end of the Nature Conservancy Trail. Camping Near This Trail: Due to the protected nature of Cascade Head, camping isn’t readily available within walking distance of Hart’s Cove. 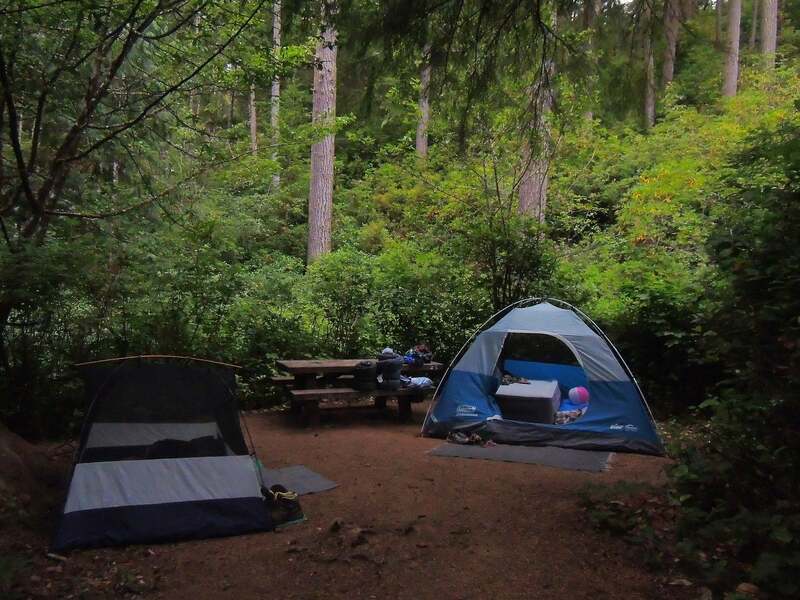 However, the nearby Neskowin Creek RV Resort is only a 12-minute drive, with parking available at either trailhead. 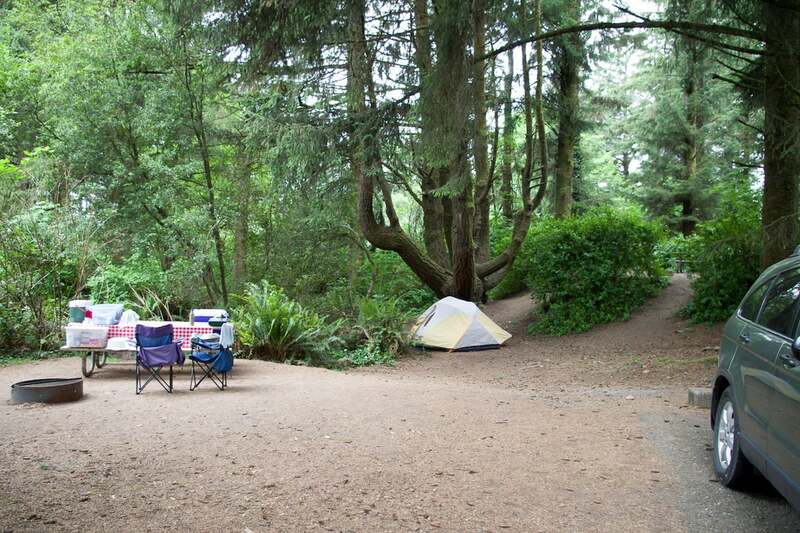 For dedicated tent campers, the Lincoln City KOA is only 18 minutes away by car. Runners and hikers alike should note that the nature preserve and large chunks of the trail are closed to visitors from March 15 – July 15, so it’s best to stick to this area in late summer and early fall. Image from The Dyrt camper Lisa M.
Beginning in Cape Lookout State Park, this coastal trail run features 5.4 miles of hard-packed sand. 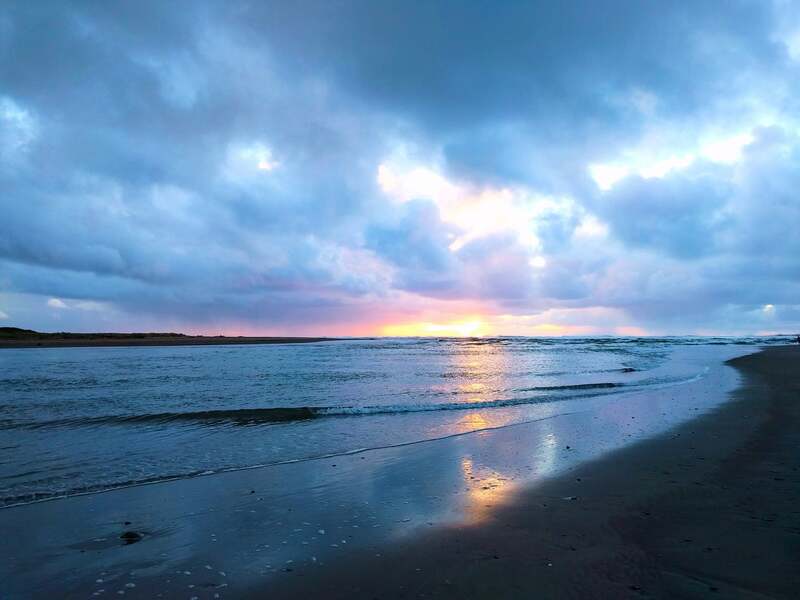 A zero grade beach trail that cruises along the Pacific Ocean to the end of the Netarts Bay, this is an excellent choice for a run-swim-walk-gather-seashells type of trail run. 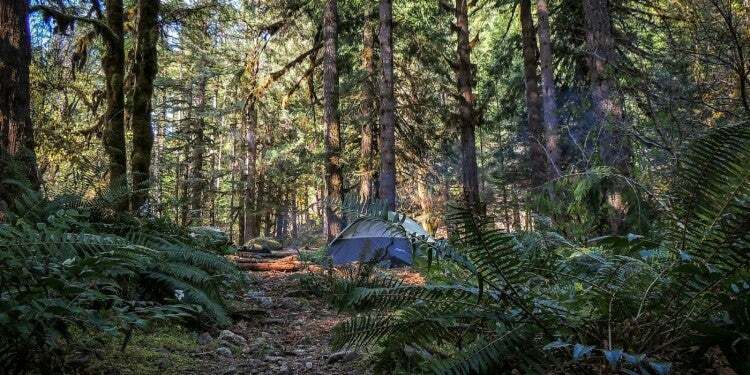 Camping Near This Trail: Camping can be found at the Cape Lookout State Park campground, a short walk from the start of the trail. “Beautiful beach and multiple campground options from cabins, to group camping, to large tent sites, to yurts! The beach is only a walk away. There is also an off leash dog area and picnic areas for large parties and weddings. Clean campground and beach…we return every year!” — The Dyrt Camper Kelly N.
Image from The Dyrt camper Raphaela H.
At 2.1 miles, the Cape Falcon Trail is perfect for those looking for a semi-difficult coastal trail run or a half-run, half-hike trail with expansive views. The trail itself can be muddy for a large part of the year, and exposed roots and vegetation can prove difficult for dedicated runners. That said, the Cape Falcon trail also offers distinguished views of Short Sands Beach from about the 1.5-mile mark on, and concludes at a spectacular lookout. Cape Falcon is a great choice for summer runners, as the three creek crossings provide ample opportunities for water and escaping the heat. 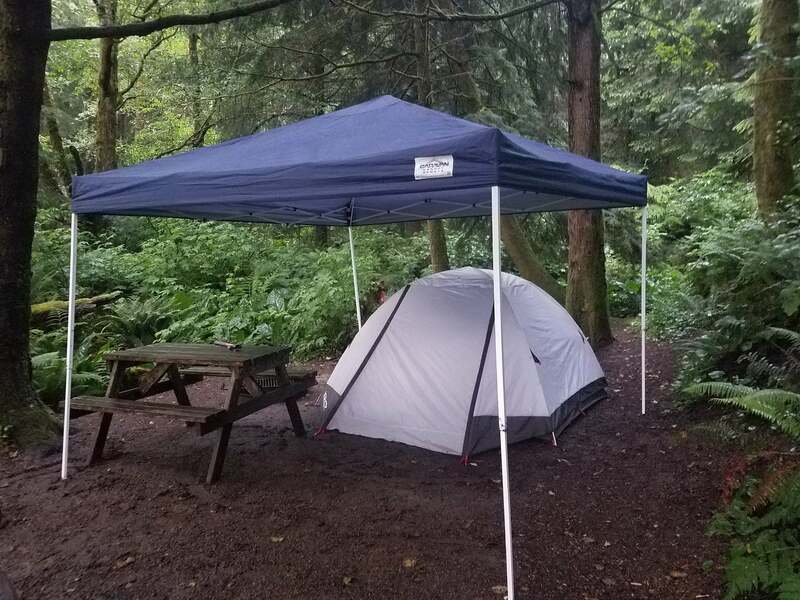 Camping Near This Trail: Nehalem Bay State Park (and the campground located onsite) is only a ten-minute drive from Cape Falcon Trailhead. 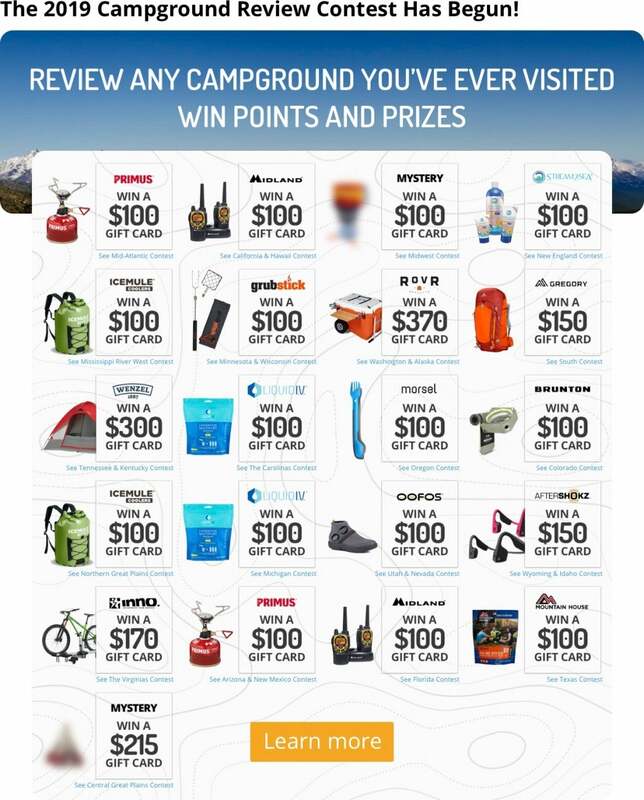 “Clean and well kept, camping is always a breeze here! Yurts are available and RV’s are easily accommodated. Plenty of opportunities for outdoor/coast activities such as fishing, crabbing, and exploring!” — The Dyrt Camper Haley W.
Image from The Dyrt camper Ashley B. Beginning in Ecola State Park at the Indian Beach parking area, this 2.7-mile trail (intersecting with the Oregon Coast Trail) offers the perfect preview of both the wilderness within the state park and the ocean beyond it. For runners taking the loop clockwise, the trail climbs upward for almost a mile (albeit gently), offering intermittent views of the ocean while winding through a dense coastal forest. The trail back is located at a 4-way junction at around the 1.5-mile mark, and descends back down to the Indian Beach parking area to complete the loop. For history buffs, the Clatsop Loop was walked by members of the Lewis and Clark expedition, who were searching for a whale rumored to have been beached. 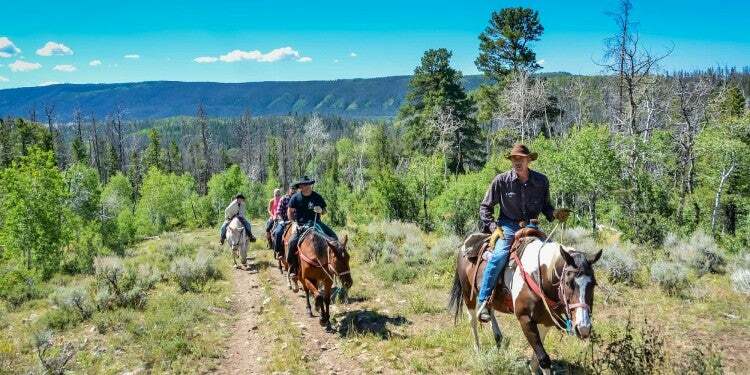 The trail can also be taken counterclockwise for a gentler slope at the beginning and a steeper descent at the end. Camping Near This Trail: Camping can be found at the privately owned Sea Ranch Resort, less than a 10-minute drive from the Indian Beach parking area. Further inland, Saddle Mountain State Natural Area offers primitive campsites and is located about 45 minutes from Indian Beach. “Saddle Mountain is my go-to campsite. It sits at the base of a glorious 3 -mile hike, a good workout that ends with 360-degree vistas of at least four major mountains, two major rivers, Astoria, the Oregon Coast… it doesn’t get any better…Only about 10 miles away from the Oregon Coast on Hwy 26 (great signage to the campsite), Saddle Mountain is also a nice stop in a longer trek to several great nearby camping and hiking locations.” — The Dyrt Camper Bjorn S.
OOFOS’ sport sandals with arch support are a must-have for your next coastal trail run.